← Why Do You Deceive People with Million Dollar Bill Tracts? Four of us with Born of Him Ministries were at the Super Bowl doing open air preaching with the Super Bowl Outreach. There were 110 open air preachers from around the country that surrounded the stadium on Super Bowl Sunday. We were in nine groups, so Mr. Ramsey was correct that we probably had the stadium pretty well covered. The ironic thing is the Greg Marlin, the founder of Born of Him Ministries was on the box, open air preaching when Dave Ramsey walked by us. Greg did call out his name, hoping that Mr. Ramsey would engage in a conversation because Mr. Ramsey is well known and he probably could have drawn a very large crowd. But when Mr. Ramsey heard his name called out, he just raised his hand in the air and waived. He honestly didn’t seem too embarrassed to me at the time. The ministry partners with Born of Him Ministries are sorry to hear that Mr. Ramsey felt embarrassed. We are sorry to hear when any Christian is ashamed or embarrassed when the glorious Gospel of our Lord and Savior Jesus Christ is being proclaimed in the open air. We want to publicly thank Todd Friel with Wretched Radio for being so kind on his radio show to open air preachers. Mr. Friel played a little bit of someone yelling at Rosie O’Donnell after he played the Dave Ramsey segment. The person that yelled at Rosie O’Donnell has a much different style of preaching than we do. We don’t call people names. All of us are born with a sinful nature. The Bible clearly states that if Jesus Christ is not your Lord and Savior while you are alive on this earth, then you will spend eternity in Hell after you die. At Born of Him Ministries, we try very hard to get people to see their sinful nature and we warn them that they need to flee from the wrath of God (John 3:36). After we go through God’s Law with people, we then tell them the Good News of Jesus Christ because the Gospel is the power of God unto salvation (Romans 1:16). Again, we thank Mr. Friel for his kindness to the many open air preachers around the country who proclaim the Law and the Gospel. As Mr. Friel so wisely pointed out on his show, there are many people in America that don’t know the Law and they don’t understand the need for a savior. So open air preaching is not only biblical, it is much needed in our day and time. 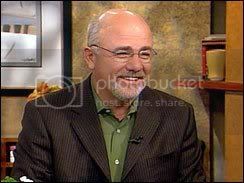 Back to Dave Ramsey and the Super Bowl. Greg Marlin was very kind to Mr. Ramsey. When Mr. Ramsey continued walking by us, Greg did say something like “people, you need to flee from sin and run to Jesus like a gazelle.” I thought it was quite clever and appropriate to say. As far as Mr. Ramsey being embarrassed or ashamed of open air preachers, all of us at Born of Him sincerely hope and pray that Jesus Christ our Lord is not ashamed of Mr. Ramsey on Judgment Day. Christians, you should never be embarrassed by the proclamation of the Good News of Jesus Christ, in public or in private. This entry was posted in Evangelism and tagged biblical, Born of Him, Dave Ramsey, glorious Gospel, Greg Marlin, Jesus Christ, judgment day, open air preachers, open-air preaching, Rosie O'Donnell, super bowl, super bowl outreach, the Gospel, the Law, Todd Friel, Wretched Radio. Bookmark the permalink. Good article…we should never be ashamed to preach the truth. First of all I detect a little judgement on behalf of the writer. Who’s to say Mr. Ramsey was late for an interview and just did not have the time to stop and share. Or he could have been irratated by the method of sharing the Gospel that he was witnessing. I work in the inner-city of a large city in SC and I am very intentional about sharing the Gospel. But I have come to learn that standing on a box and talking down to those who do not know the Lord is counterproductive. Those who do not know anything about Jesus or have had a bad experience in a church will just tune out. I am a big believer of establishing relationships and then taking opportunioties that God gives me to share with them what God’s Kingdom is all about. I think that is what Jesus did in His day and what He expects us to do as well. I think we all can agree to diagree but the bottom line is that it is all about relationships and how we can impact the Kingdom for Christ. Thank you for your comment. I assure you when we preach it is out of a love for people and for our Savior Jesus Christ. In response to your comment I have posted the article below. The (Lost) Art of Street Preaching — Must It Be Resurrected? You may have a particular view on street-preaching (for purposes here, street preaching and open air preaching are synonymous). This could be from a street preacher that you heard or from a YouTube video that you watched, or just the seemingly “weird” people that do it. I want to propose today that this art of public open-air preaching is an important way the gospel of Jesus Christ can effectively be proclaimed to the lost in our culture. I propose nine reasons why street-preaching should be considered as a valid way to present the gospel of Jesus Christ. 1. It presents the gospel to people who may not otherwise step foot into a church. 2. It allows the preacher to obey the most frequent command regarding the manner in which the gospel is presented. One only needs to read through the Scriptures (both OT and NT) to find the clear emphasis on the bold, public, and even at times “in-the-moment” proclamation of God’s truth. A concept that very frequently arises is the command given and pattern exemplified in the act of preaching the Gospel and proclaiming the truth of salvation (cf. Acts 26; 2 Tim 4:2; Luke 14:23; cp. Neh 8). 3. It follows the historical pattern of pastors open air preaching. Beginning with Noah who was a preacher of righteousness (2 Pet 2:5), to Ezra (Neh 8:1-4), to Jeremiah (Jer 7:2; 19:2), Ezekiel (Ezek 11:off), other prophets (cf. Jonah 3:2-4), John the Baptist (Matt 3:1-2), our Lord Jesus Christ (Matt 5-7, et al. ), Paul (Acts 26), Peter (Acts 5:17ff), and hundreds through Church history, an unbroken pattern of open-air preaching can be observed. For instance, in the 18th century, Gideon Ouseley, heralded God’s truth in the open-air in the country of Ireland. Ouseley first preached in a church-yard, at a funeral, and after this point, he preached in the streets and church-yards, at fairs and markets, at wakes and funerals, wherever in fact he could find a congregation assembled. He would ride on his horse from county to county preaching and exhorting wherever and whenever he could. Even Spurgeon provided a list of eleven qualifications for open-air preachers: (1) a good voice, (2) naturalness of manner, (3) self-possession, (4) a good knowledge of Scripture and of common things, (5) ability to adapt himself to any congregation, (6) good illustrative powers, (7) zeal, prudence, and common sense, (8) a large, loving heart, (9) sincere belief in all he says, (10) entire dependence on the Holy Spirit for success, (11) a close walk with God by prayer, and (12) a consistent walk before men by a holy life. 4. It plainly understands the command of our Lord to “go into the highways and the country roads” and compel sinners to come. In Luke 14:23, Jesus commanded His disciples to go out into the highways and the country roads (or, hedges) and compel sinners to come in so that His house may be full. Open-air preachers take this verse and read it at face value and have no need to spiritualize or take this text figuratively. O how important it is to go out to where the sinners are, gather, commune, party, and live so that the biblical gospel is presented to them in a winsome and compelling way so that they may repent of their sin and believe in Christ. 5. It trusts wholly that God’s Word will never return void. Every time the preacher heralds God’s truth, he recognizes that God’s truth never returns void. It especially is the case when the open-air preacher takes God’s Word and delivers it to the passers-by that an unshakable trust in God’s promise that His Word will never return empty but it will always accomplish what God sovereignly ordains. 6. It encourages believers to go out together as a team and it mutually stirs others to more fervent and urgent evangelism. Open-air preaching can provide a great opportunity to take other believers from a local church to gather and hand out tracts and to approach people who have listened to the preaching of the Gospel and engage in further conversation. It can be an effective way of openly proclaiming the Word and deliberately engaging people in personal conversation about their own heart and soul before a sovereign Judge. 7. It convicts Christian passers-by who are not sharing their faith to consider evangelizing with greater zeal. Oftentimes, the open-air preacher will hear from Christians who walk by and say something along the lines of: “I wish I could do what you’re doing,” or “I could never do that!” but this allows the preacher a great opportunity to challenge those passers-by to be diligent, vigilant, and urgent in their own gospel-proclamation in the life-setting in which God has placed them. By the preacher’s urgency and intensity, he reproves other Christians who wonder if God may ever put them up to such a daunting task of evangelizing in public! The open air preacher must, from beginning to end, be an intense man and preach with urgency, intensity, and bulldog tenacity. And, it could be argued, he could shepherd other Christians to do the same in their evangelism. 8. It always glorifies God because His Word is being proclaimed. When a man of God proclaims the Word of God that salvation is found in the one true God, Jesus Christ, and in His righteousness received by faith alone, God is always glorified. He can be glorified in the drawing of sinners to repentance or He can be glorified in the hardening of sinners further toward judgment. God’s Word that is faithfully proclaimed always glorifies God even if the outward results are nonexistent. 9. It depends wholly on the sovereign Work of the Holy Spirit to quicken dead hearts to new life as sinners hear the word preached. Preaching by definition takes the divine message and preaches that message of new life to dead sinners who cannot, in and of themselves, listen to, hear, and respond to new life. They simply can’t believe by their own freewill. The open-air preacher heralds God’s truth anywhere and everywhere depending wholly on the sovereign work of God the Holy Spirit to awaken spiritually dead souls and impart spiritually new life into the sinner’s soul. This is the divine act of regeneration. God can do it from the pulpit in a church. And God can perform this sovereign act on a streetcorner in a public square. In which case I would imagine there’s a little judgement on the part of Mr Ramsey too. I’m also detecting a little judgement on the part of the author of that post. Paula, I was there and whether Mr. Ramsey was late for an interview or not, he very much put his head down and seemed embarrassed that Greg mentioned his name in front of the crowd. Mr. Ramsey didn’t have to stop and talk to us (although that would have been great), he shouldn’t have been embarrassed by the proclamation of the Good News of Jesus Christ our Lord.